I have never participated in a blog challenge before, but I read about two that Emily is doing and they sound like fun and a great diversion from the sad week we have had. 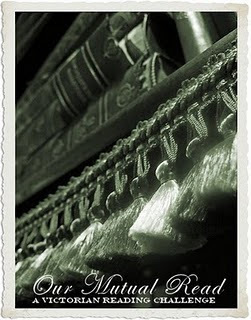 I think it will be so much fun, so I am participating in the All About the Brontes Challenge 2010 AND the Our Mutual Read Victorian Reading Challenge. The Victorian Reading Challenge lasts all year and includes several levels of challenges. I am going to start with level 1 and maybe go up to level 2 if I want to later. I also want to do the period film mini challenge. ~ Level 1: 4 books, at least 2 written during 1837 - 1901. The other books may be Neo-Victorian or non-fiction. ~ Level 2: 8 books, at least 4 written during 1837 - 1901. The other books may be Neo-Victorian or non-fiction. 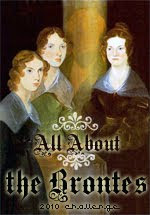 The All About Brontes Challenge is from Jan 1-June 30th and you are challenged to read/watch 6 Bronte books or films based on the books. 4-6: Watch various versions of films based on any of the Bronte sisters books. If you are interested in either of those challenges, just click on the buttons on my sidebar!